We are already well into October, can you believe it? It was 85 today, but I’m hoping it cools down soon and stays cool! This week, I’m loving a long wearing brow pencil, a volume-building hair product, an ultra-moisturizing hand cream and a supplement that will help prevent sun damage in skin. Leave a comment and let me know what you are loving now. I am excited to hear! 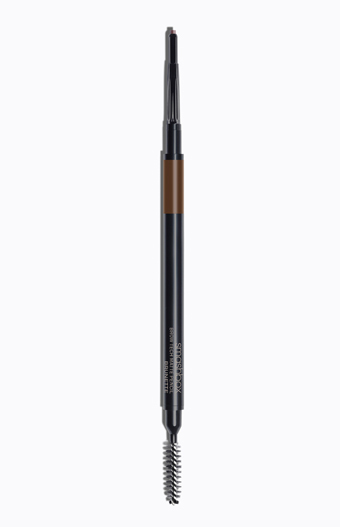 Smashbox Brow Tech Matte Pencil ($21 USD) –A brow pencil with an ultra-fine point that allows you to mimic hairs to extend your brows and fill in sparseness. Benefits are that it’s long wearing, non smudging, water resistant, sweat & humidity resistant. Umbreen Sheikh of Wink Brow Bar in NYC has shared her tips on shaping / perfecting your brows which can helpful when using the Smashbox items. They include not overdoing it even though bold brows are in. What I think: This is very easy to use. I use feathery stroke. The main thing I do is fill in the tail of my brow, and then use the spoolie brush to blend it in and make it look natural. L’ANZA Keratin Healing Oil Hair Plumper ($40 USD) — Fattens skinny hair strands and gives hair a bold, robust appearance. Bulks-up hair without weight and delivers fullness & density. Defines & separates and gives hair added dimension. Provides internal bounce and delivers flexible support. What I think: I really like using this product, it gives great volume and leaves my hair soft and shiny! I use it on dry hair, but want to see what it does when I apply it on wet hair, too. It also smells really nice and holds style well. 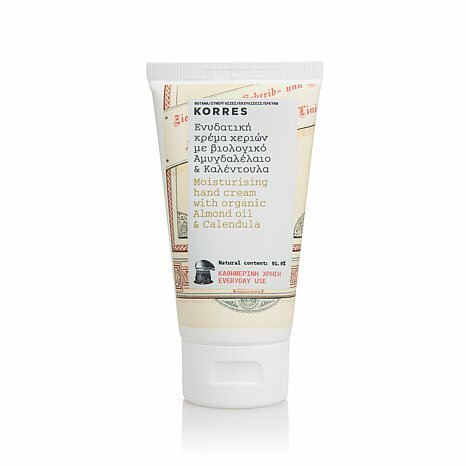 KORRES Hand Cream with Almond Oil and Calendula ($14.50 2.54 fl. oz.) — is enriched with nourishing almond oil and antioxidant-rich calendula to help relieve dry hands. Calendula, combined with almond oil and aloe, helps retain natural moisture of the skin, leaving hands smooth and supple. A blend of natural butters and antioxidants provides additional comfort. Use the 91.9 percent natural formula daily for immediate and long-term relief. What I think: I love the scent of this! It’s wonderful! Plus, it is so moisturizing and not greasy at all, which is perfect for a hand cream. It leaves my hands soft and silky all day! Heliocare Ultra Dietary Supplement ($72 for 36 capsules) — contains a powerful blend of antioxidants, including Fernblock Polypodium leucotomos extract (PLE), Vitamin C and Pomegranate extract. These dietary supplements help defend your skin from the inside out. Like the original Heliocare, this Ultra formula helps maintain the skin’s ability to protect itself against sun-related effects and aging. Heliocare Ultra’s extra strength formula contains twice as many antioxidants as the original Heliocare. What I think: I really like the idea of this product. The effects of sun damage on skin can be severe, and if this helps skin stay smooth and supple, that’s amazing!